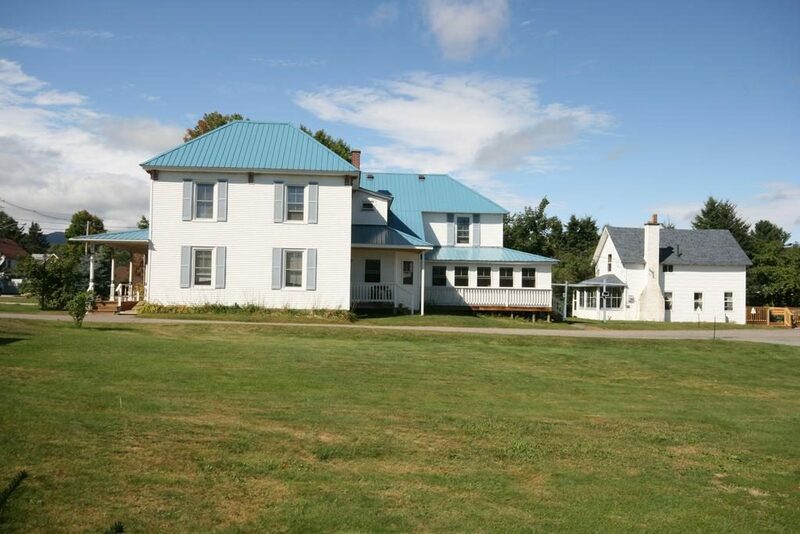 Spruce Lodge is made up of the Main House, Cottage, and the Wescott Townhouses. Each offers a different style of lodging perfect for any size group or any length of stay. The Main House is reminiscent of a farmhouse with a long, stretched porch perfect for morning coffee or catching up on your reading while relaxing in one of our Adirondack Chairs. The interior is sprinkled with family heirlooms, antiques, and area memorabilia. Each of its 7 rooms includes a private bathroom with shower. All rooms in the Main House include breakfast with your stay. Learn more about each room in the Main House. PLEASE NOTE: We have 3 friendly cats in the Main House. Simon, Janis, and Joplin love to greet our guests and are the perfect couch companions if you are missing your furry four-legged friends at home. Unfortunately, we do not allow any other pets at Spruce Lodge. The Apartment is located in the back of the Main House but has its own entrance. It has one bedroom, a spacious living room with a television, a private bath with shower, and includes breakfast with your stay. Learn more about the Apartment. The Cottage was once the workshop for the Main House and now is rented out as a single unit that comfortably sleeps up to 6 people. The Cottage includes 2 bedrooms, a living room, kitchen, bath with shower, and a large porch, perfect for evening BBQs or coffee in the morning. Learn more about the Cottage. The Wescotts at Spruce Lodge were built in 2004 and provide a great option for families or larger groups. The 4 townhouses each include a large wrap around porch, 3 bedrooms, a full kitchen, dining room, living room with TV, 2 bathrooms, and washer/dryer. Each unit sleeps 6 people. Learn more about the Wescott Townhouses. In addition to Spruce Lodge, our family has two other properties located in Lake Placid for rent and a beach house in Maine for rent. Learn more about our Other Lodging Properties. We’d love for you to stay with us at Spruce Lodge and look forward to seeing you!